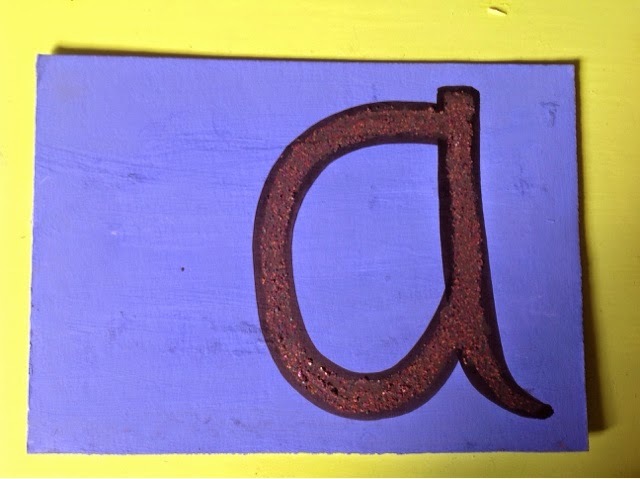 The sandpaper letters are a classic montessori material for teaching letters. The trouble is they are pretty expensive for textured flash cards, so I made my own. I didn't have any sandpaper and I like to use what I have already if I can so here is the method I used. First I just cut up some old mount board I had into roughly A5 size rectangles, and painted them pink and blue (21 pink and 5 blue). When that was dry I drew a big letter on each just lightly in pencil and when I was happy with it I went over it in sharpie, making the lines thicker. 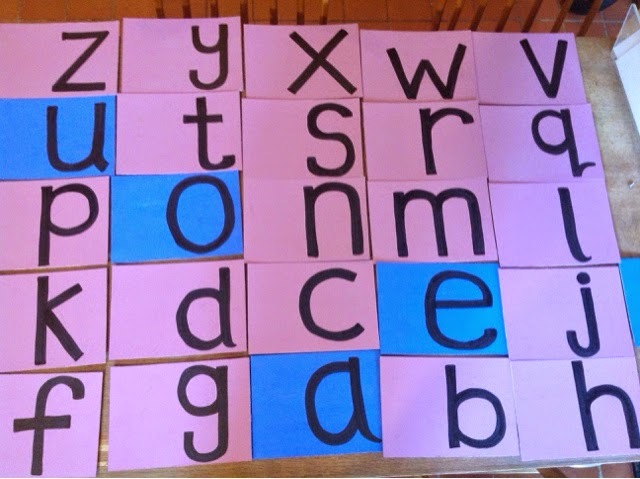 The letters are over to the right because Rogue is definitely more right hand dominant but if you have a left handed child you would want to position the letters more to the left. 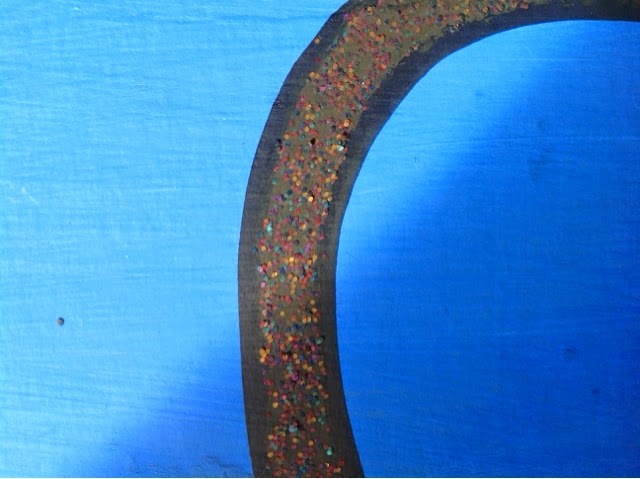 Next I mixed some glue, black paint and glitter together. 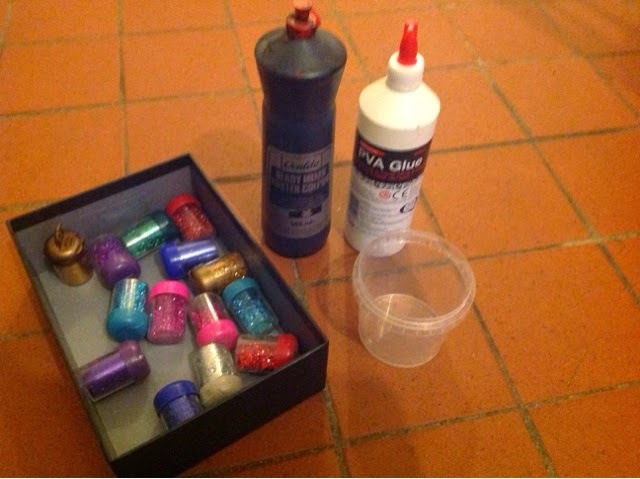 I used up old pots of glitter, mixing all kinds of colours and then used the paint to try to take some of the shine and colour off. It worked surprisingly well actually. The texture was very thick, like wet sand. Next I used a small brush to paint a line of this mixture into the centre of the lines of the letters. This has worked really really well, once it was dry it had a really good texture just like sandpaper and bits don't come off when you use them. Sandpaper is great but this has worked brilliantly for us and it came at my favourite price - free!